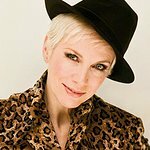 Internationally acclaimed singer songwriter and long-time AIDS activist Annie Lennox will headline an historic rally in downtown Vienna on 20 July 2010. The march and rally will feature a memorable live musical performance by Lennox and provide an opportunity for people to demonstrate their commitment to protecting human rights and stopping the spread of HIV. The event will consist of a 30-minute peaceful march in downtown Vienna to a public rally with government leaders, human rights and AIDS advocates, and people affected by HIV.Following the speeches, Annie Lennox will give a special presentation of her SING Campaign, which will include a musical performance and some short films highlighting the issues that surround HIV and AIDS. The event will take place on Tuesday, 20 July 2010.